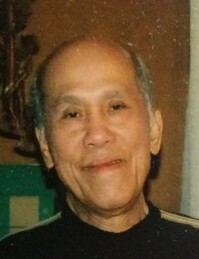 Claudio Flora Fontanos, Sr. was born in Casilagan, Naguillian, La Union Philippines to Apolonio Fontanos and Lourdes Flora. He was the youngest of three siblings who preceded him in death; Valentina F. Mabalay and Faustina F. Hipol. He is survived by sons Claudio Jr., Almirante, Rolando, 8 grandchildren and 4 great grandchildren. He was preceded in death by wife Remedios Gurion Fontanos, sons Christopher, Dante, Florante and Allan.